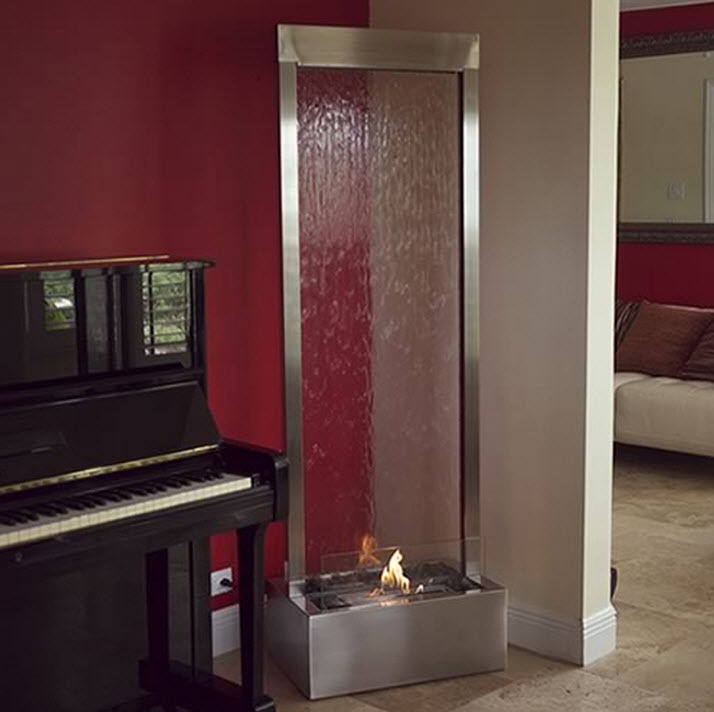 The 72" Gardenfall Stainless Steel with Glass Fire Fountain will be a gorgeous addition to any home or office and is sure to increase the serenity of any setting with its ambient fire and tranquil water noise. Create a mood of warmth and serenity while enhancing your surrounds with this Gardenfall Fire Fountain. The water sheets majestically over a clear tempered glass panel which sits behind polished river stones and dancing flames from the integrated burner. 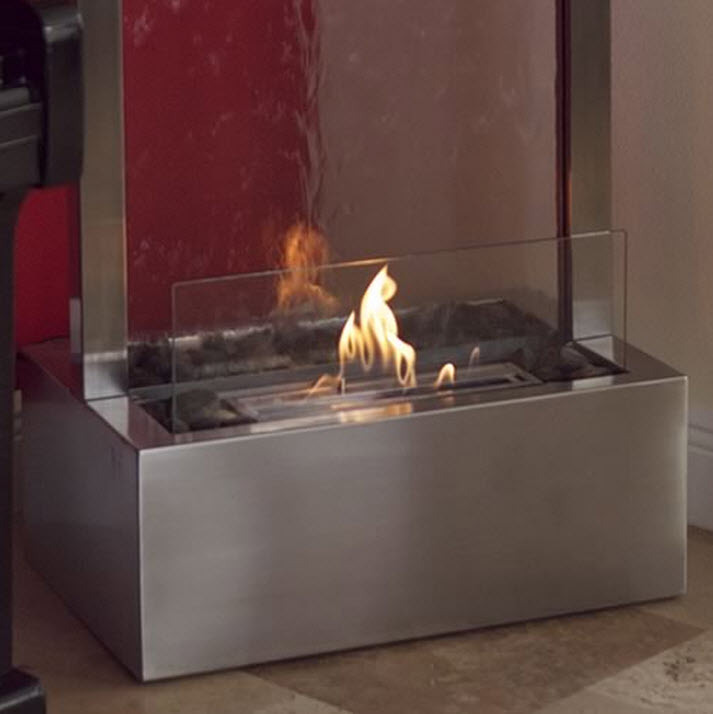 The Gardenfall Fire Fountain features a decorative rock tray, tempered clear glass panel, brushed stainless steel frame, and a heavy stainless steel linear burner for extended enjoyment with tempered glass windscreen for safety. This fire fountain is easy to use, and features state of the art construction with a quiet operation which makes the 72" Gardenfall fire fountain a wonderful addition to any indoor or outdoor setting. This fountain is also available in a 48" Height, 90" Height, 94" Height, and 118" Height. Uses Nu-Flame Bio-Ethanol Fuel sold separately. *Click to Play Video of the 72" Gardenfall Fire Fountain in Action!